By popular* request, I've created a table of contents page! Somebody got into my Wordpress site and messed with it a fair bit. Of course it was my fault for not updating Wordpress for so long, but still. I've decided to remove just about everything on the server; I never liked Wordpress much anyways. On GitHub. This is where I do post most of my projects. On Scratch. I'm pretty active here. I wonder how reliable this site is? Let's see how long it's going to stay on the internet. Need to make web archive backups. Bad news first: BasicEdit is gone. Good news: BasicEdit was terrible, I don't like it, and I don't think I learned that much in the process of making it! Oh yeah, there's also this which apparently I still have on the server. It's not great, but at least it's something I made a long time ago that was better than BasicEdit. Well, it isn't yet, but by the time you read this, it probably will be. But it's fun to have an old place like this, right? Where you or anybody in a million years can see what I'm doing? Too bad web browsers will probably be irrelevant. If a boolean's value is false, it will cast as a number to 0. If a boolean's value is true, it will cast as a number to 1. Recently there's been an online project a bunch of people have participated in where you need to pass a color given an X and a Y position, using only one line of code. 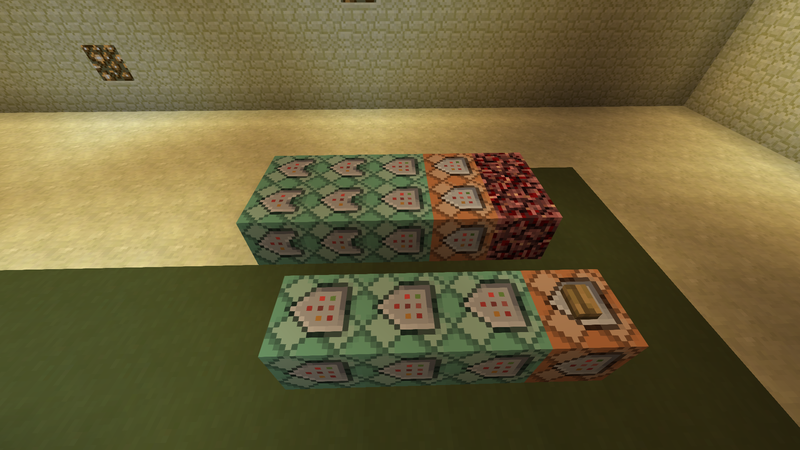 Boolean to number casting is allowed and it makes for a pretty useful tool. The important part is the "50 * (condition)" part. If the condition is true, it'll be interpreted as "50 * 1", so 50. If the condition is false, it'll be interpreted as "50 * 0", or 0. Add 50 to that and you get 100 for positions in the range and 50 for numbers not in the range. And that's with a binary black/white screen, people have made much more amazing programs using colors - there's actually a 3D sphere render entry! But if I'm understanding the programs correctly, drawing colors (probably generated by the program) based on range conditions (also probably generated by the program) is generally how the programs work. I could be absolutely wrong though! ..but my pixel art skills aren't great. 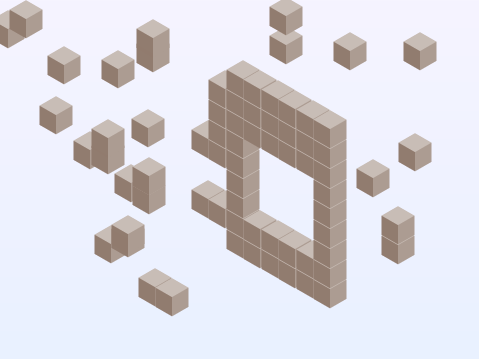 I made an isometric bridge maker thing today, and then I tried to make a duck with it. You know how there are fancy homebrew/emulation tools for the DS like the Supercard DSTwo 4-in-1? I got one of those recently and I've been using it a lot, and just now I got an idea - what if you hacked the microSD to take information from a network (and store that in a file)? It could be used for basic messaging from the DS to another device, such as your computer, as well as the other way around. Might be an interesting project. Of course first you need to figure out how to hack the microSD. I have no idea how. Thankfully it looks like somebody else has already done that! ..But that's with an SD card, not a microSD. Hmm. I highly doubt that an ordinary microSD is going to come with some method of connecting to a network (or maybe whatever bluetooth is - I know nothing about it!) though, so.. good luck with this idea. And it'd need to be an actual hack of the microSD hardware - you aren't going to be able to use an adapter of any kind blah blah, because then it won't fit in whatever homebrew DS card you're using. Apparently you can send code to run over wifi to a microSD? I haven't read into it much but if that's possible perhaps you could get it to run some file-write code, for the DS program you made to read.. Dunno if that's only on boot-up (is that a thing for these cards?) though. Should you use Minecraft 1.9 command blocks properly? Let's find out! I've been working on a big project in Minecraft recently (you hackers on Xx_LeeterHax0rzOnG4mes_xX-YT probably know about it, maybe I'll write about it here at some point?) 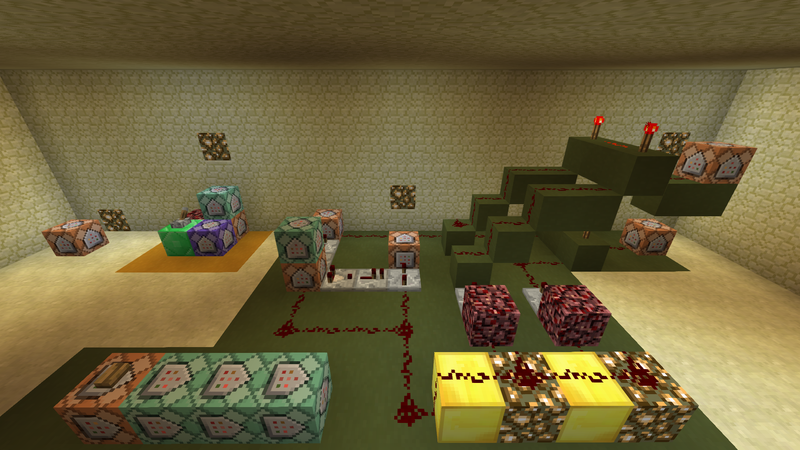 that involves lots of redstone and command blocks, so I think it's an appropriate test case. I'll let you decide which to use. Did you know you can hold your mouse still over images to get a little tooltip text? Using the horrendous monster called PHP, I made an RSS feed everybody can use. Yay. Also you should keep an eye on the table of contents. Occasionally I put things there. The table of contents still isn't automatically updated, though. Yay! xargs -r "printf > (file)"
It sends errors to your terminal and success to a file. It's really handy for a program I'm making right now that fetches data from a webpage and outputs the data, which I want to send to a file. This is going to be a little long just because I feel like rambling, so.. sections! Mildly shocking judging by the fact that it's been nearly a month since my last post here. Did I mention that this is a graveyard? Anywho, blogs are interesting. For instance Stalkertron 2000 has been going for over sixteen years, and somehow it's still awesome. That's motivating! Then there are other blogs such as tuibooks.com where you wonder if the blog is abandoned. Judging by the fact that the last post was over two months ago that's reasonable to wonder, right? So no, this blog hasn't been abandoned (yet). This afternoon my friend __init__ thought it would be funny if he played a Practical Joke(tm) on me and reminded me of one of my old projects. Like, "I was eleven" old. That's a long time ago. Anyways he linked to an old project I made called BaseCode. Apparently that was supposed to be some kind of Ultimate Modding Experience(tm) (no, seriously). Silly, right? Well, I looked at it, figuratively cringed for a moment, and decided to try something with it. But first, a summary of BaseCode..
BaseCode was all about modding. You'd basically add modules to make commands.. well, I assume. Judging by the very uncommented source code of the project. I think I originally used the word "modding" as in "modifying", but in retrospect I think thinking of it as in "adding modules" is better. Supposedly it was supposed to be a programming language, but frankly it's better as a really small scripting language. If you mod it. On its own, do you know what it can do? So think of it as a really bare command line interface (to a realistically unuseful world). The biggest thing I found it was lacking, experimenting with it this morning, was files. Oops. A little inconvenient, not having files. I figured that since the whole point of the project was modding, I might as well make a file system mod. Sound kind of silly? ECHO I'M VERY GOOD AT MAKING PROGRAMS. Any contents - this would be spread out over multiple lines/list items. A **TERMINATE** string to terminate the file. Pro-tip: don't put **TERMINATE** in your files! And that's all there is to it. It's not my greatest program, but I'm kind of proud of how I got it to work. Haha, you wanted finishing words! Well, I have none.. sorry.. and I don't really have anything to pay you back with.. please don't kill me?